 Nature Hills offers a variety of Summerweet shrubs that are all unique but all belonging to the same botanical family (Chethra alnifolia). They are also known as sweet pepperbush. All are fragrant but have unique features that allow for different foliage colors and plant sizes. Summersweet belongs to the Clethra genus and this genus is noted for flower fragrance which are pleasing to the human eye and are also attractive to hummingbirds and butterflies. Birds will also feast on the seed heads in the fall. Popular varieties of Summersweet are Ruby Spice, Hummingbird, Sixteen Candles, Sugartime, and Vanilla Spice. Generally, they are not fussy about growing conditions and they grow almost carefree when established. Summersweet blooms on new growth so do any pruning in late fall or early spring. Use Summersweet as a foundation plant, in shrub borders, privacy screens, and specimen plants. They do well and thrive in low, wet areas and they perform well in shady areas. If you have a wet, shady area where nothing seems to grow, try a Summersweet before giving up on that tough spot.